CUTE AND COZY COTTAGE. 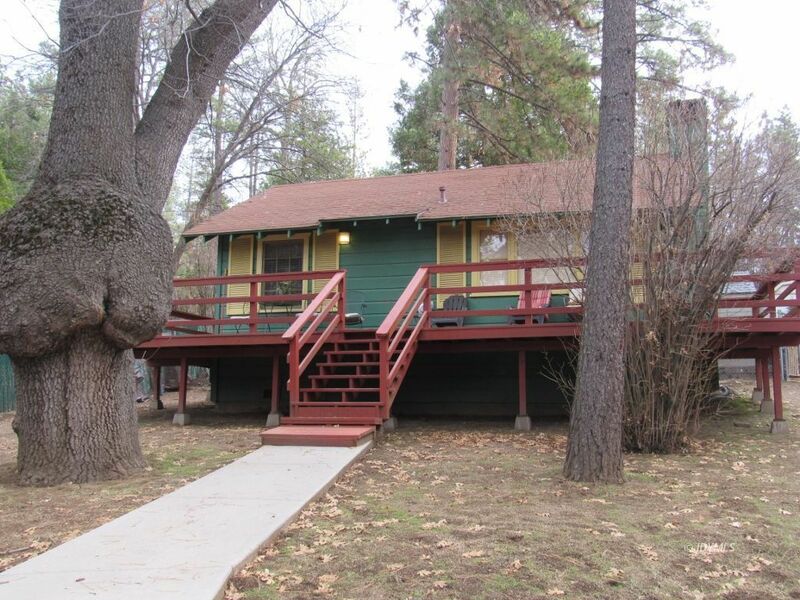 This vintage Idyllwild cabin has been beautifully maintained inside and out, preserving the original character and classic details common to the 1950's era, such as pine paneling, native stone fireplace, wood sash windows and hand crafted pine cabinets. There is one bedroom, one bath, open kitchen, dining, living room, fully fenced rear yard, storage shed and full-length front deck. Fully furnished including linens, bedding, kitchenware and firewood. Set up for immediate enjoyment and/or continue as a vacation rental.